We at Design Trends, have time and again provided you glimpses of various breathtaking structures, designs, buildings, bridges etcetera. 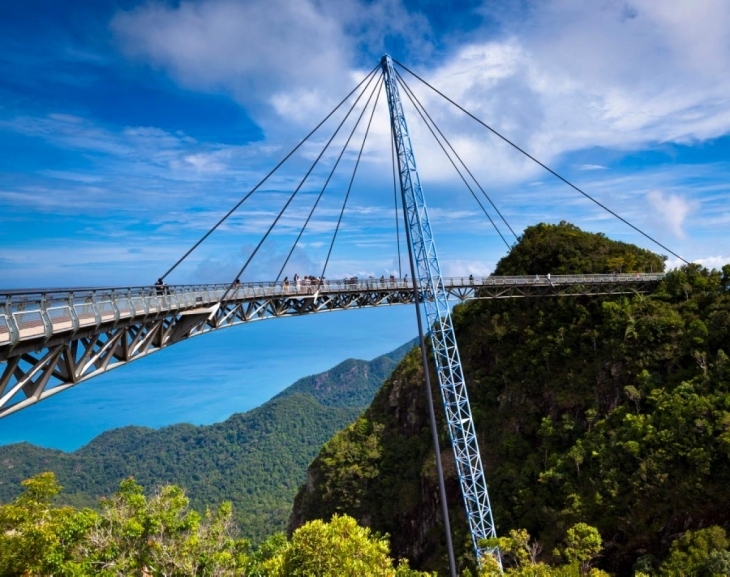 We earlier listed some of the most beautiful bridge designs of the world. 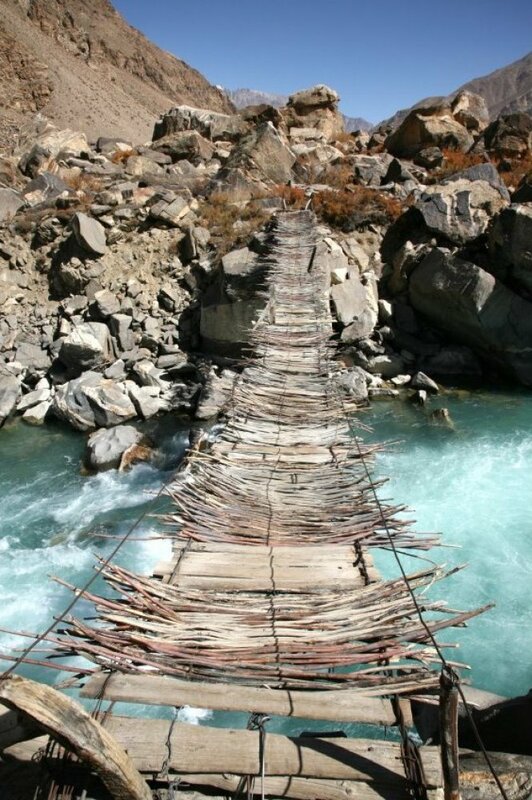 Today again we are going to showcase some bridge designs from Asia but unlike the designs that were featured previously, these were not designed to ensure safety. Or at least this is what they will make you feel once you have a look at them. And if you are adventurous enough then do try and visit them once. Asia is know all over the world for its majesty; be it the land area, the population, culture or civilization. Hence, we bring you some majestic, breathtaking and terrifying bridges from different parts of Asia. This bridge was built around 1850 and is believed to be the oldest and longest teakwood bridge in the world and apparently has been named after the mayor who had built it. For the locals, it is an important and regular passageway. It has now become an important tourist attraction as well. Myanmar construction engineers used traditional methods of scaling and measuring to build the bridge. 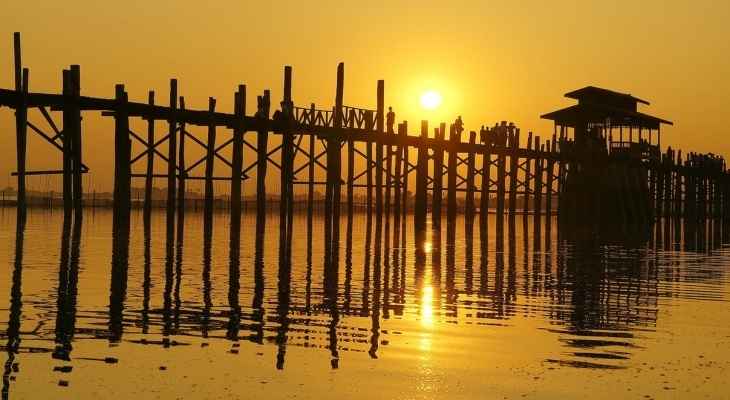 According to archaic records about U Bein Bridge, Myanmar engineers made scale by counting the footsteps. One very important aspect of the bridge is that it is an eco-friendly bridge made from teak wood that was reclaimed from the former royal palace in Inwa. Anyone would think twice before taking a ride over this bridge. However, if you like roller coaster rides this bridge is going to be a for a cake slide for you. 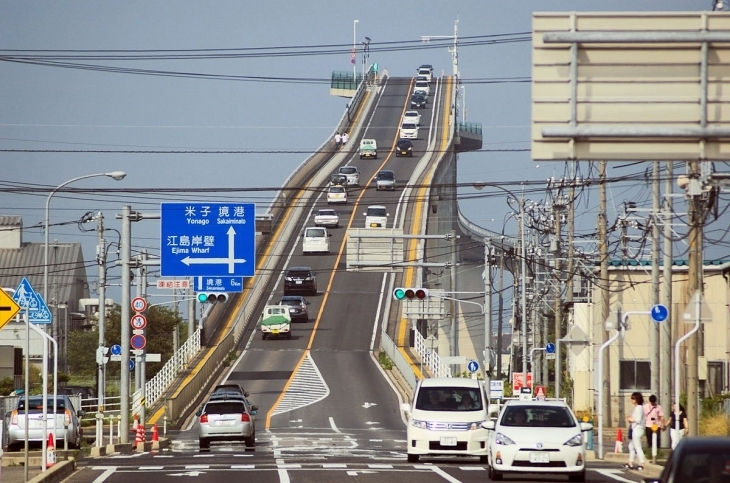 The Eshima Ohashi bridge connects the cities of Matsue and Sakaiminato and is 1.7km long and 11.3m wide. It is the third largest rigid frame bridge in the world. Though the bridge appears to be scary but otherwise is quite safe. 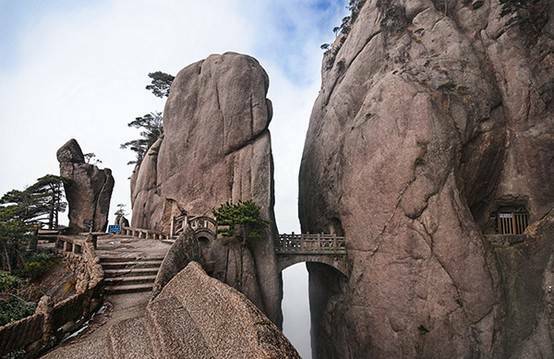 Huangshan is a picturesque and iconic location in eastern China that has also been named as UNESCO’s world heritage site. The mountains here were formed by glaciers about 100 millions years ago. According to Wikipedia, over 20,000 poems were written about the mountains between the Tang Dynasty (618-906) and the end of the Qing Dynasty (1614 to 1911) and have also inspired modern works, lending to the fictional world designed for James Cameron’s 2009 film Avatar. The stone bridge here is considered as a very special area. It is also called the Bridge of Immortals. 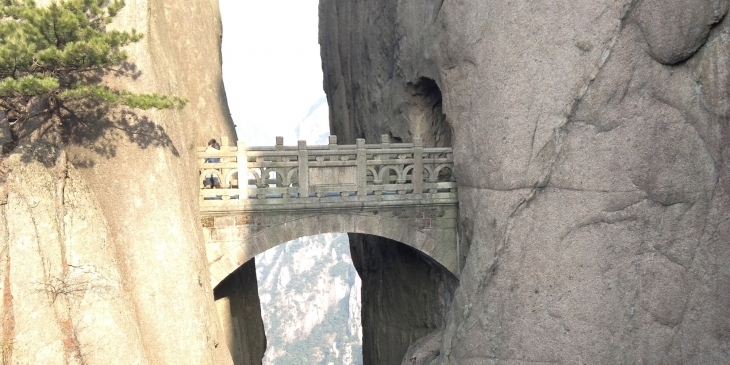 One has to be really brave hearted to cross the narrow path forming the bridge between two caves in the mountains. Even if bridges don’t hold your interest, visit the area for the stunning scenery around. 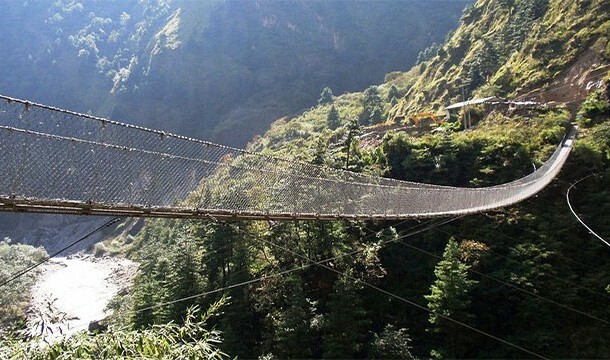 This bridge is one of the scariest bridges in the world. It is old, very shaky and highly unstable. 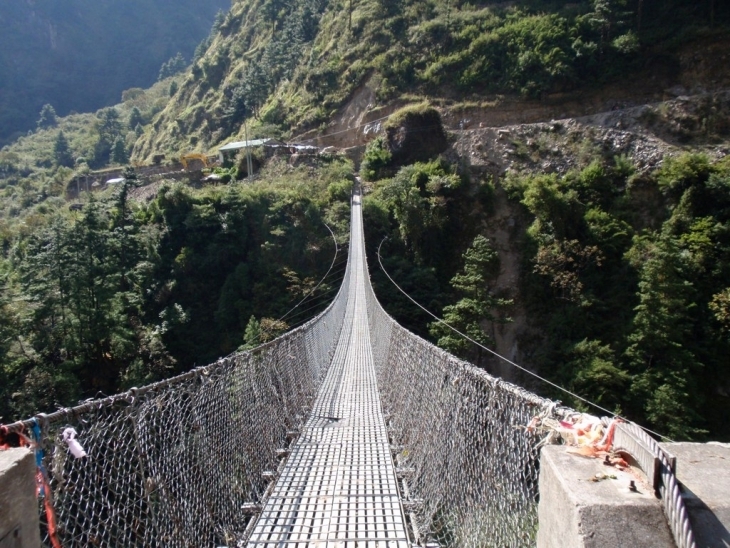 This bridge in Nepal is situated near the village of the same name. If you ever visit there you will find many animals crossing the bridge. Interestingly, the bridge serves the purpose of carrying the cattle, as they would earlier accumulate around the village and occupy narrow mountain roads, making it difficult for humans to commute. 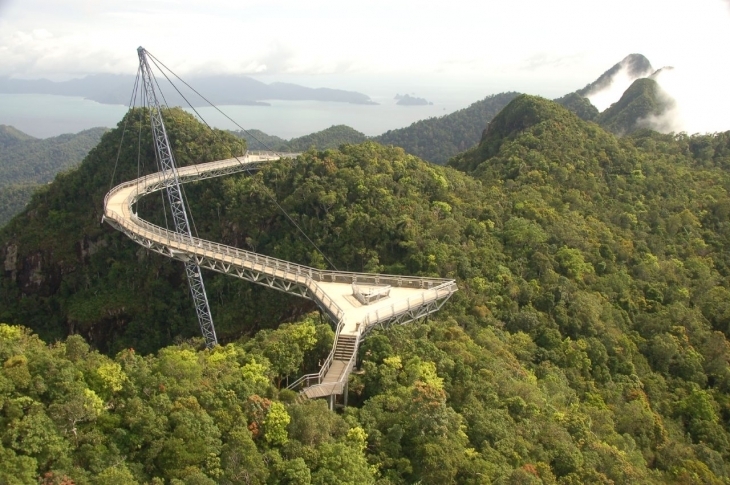 Langkawi Sky Bridge is a 125-metre (410 ft) curved pedestrian cable-stayed bridge in Malaysia, completed in 2005. 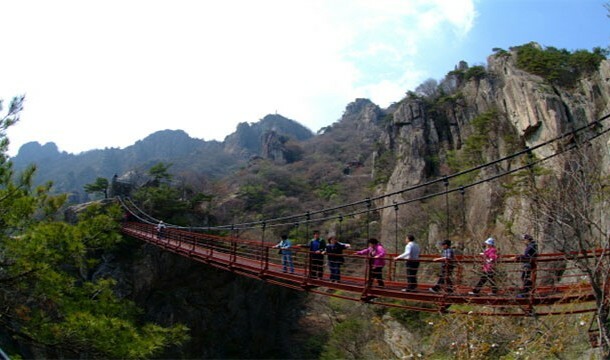 The bridge is situated 2000 above the sea level and requires the visitors to take a cable car up to the top. If you are at the bridge you can have a panoramic view of the mountains and Andaman Sea below. This is certainly not for people who are scared of heights. 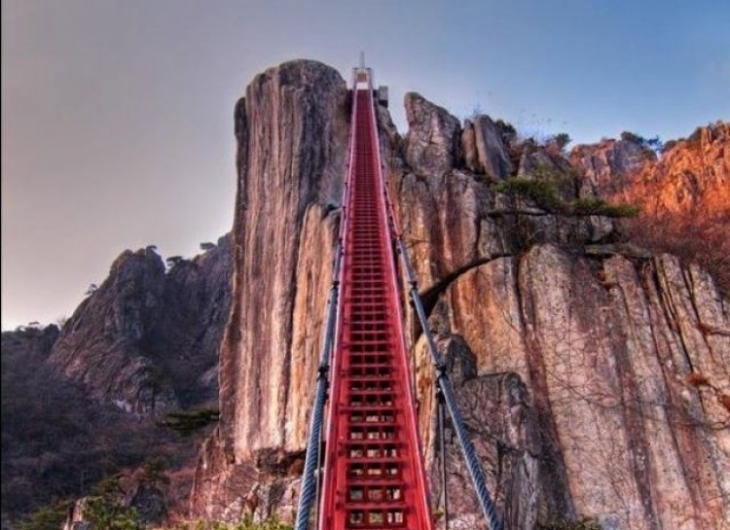 It is a 50-meter suspension bridge over a deep ravine with precariously steep red staircase leading up the mountain.The Daedunsan mountain located between the cities of Daejeon and Jeonju, is one of the most spectacular mountains in Korea. Walking up the bridge is surely going to be terrifying but the effort is going to be worth all because, at the end of it, you get a thrilling experience and some magnificent views to look around.